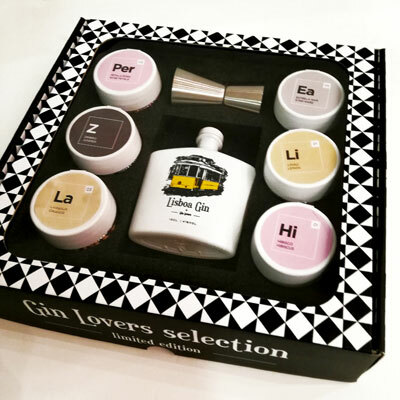 Developed over 3 years, intends to honor the city that saw Gin Lovers born and grow. 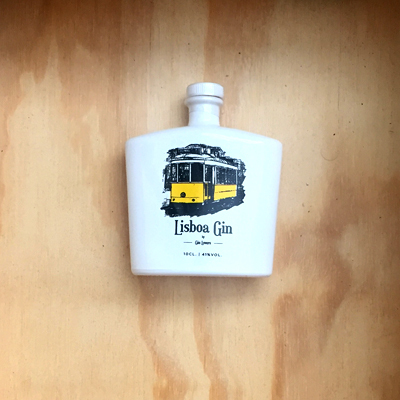 A Gin that breathes Lisbon, inspired by its 7 hills, uses in his distillation 7 traditional botanicals, plus 7 additional local botanicals that make us travel through the city and its history: petals of clove, cinnamon, coffee, salt, portuguese basil (manjerico), Arinto grapes, lettuce. 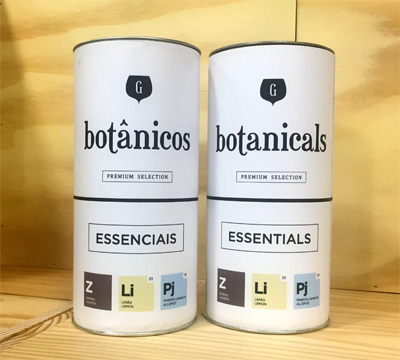 All botanicals are cold infused to ensure a unique freshness, and distilled in small stills for better production control. 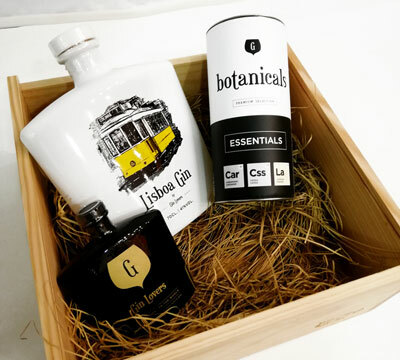 Developed by Gin Lovers in partnership with one of the most promising national distillers, is distilled in the district of Lisbon in traditional copper stills using an alcohol based cereal. The end result is a charismatic, young, fresh and versatile Gin where we find the salty, sweet and citric as the main aromas. 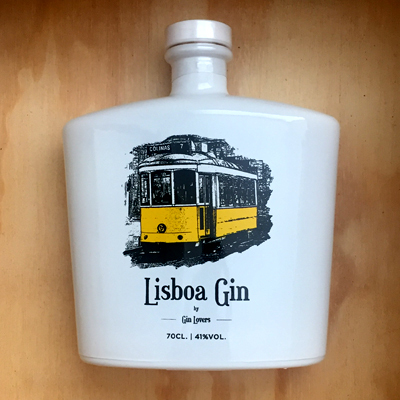 Since 2015 we created a Gin to celebrate the Gin & Tonic National Day (Portugal). 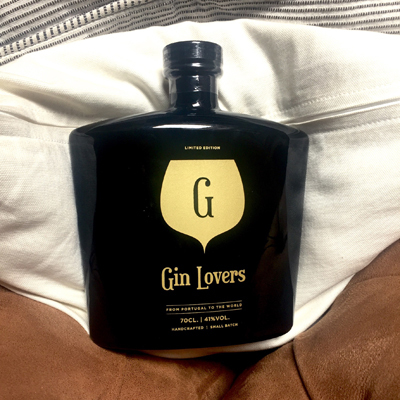 Our Gin Lovers Gin. 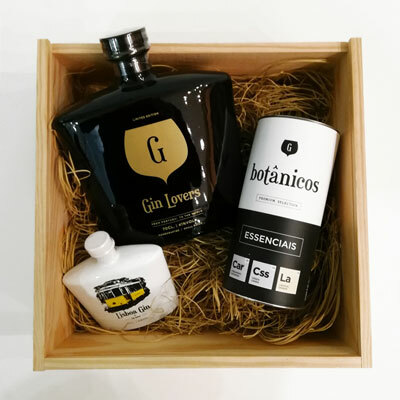 A production 100% Gin Lovers, 100% Portuguese which reflects this project spirit and the requirement of our ambitions. 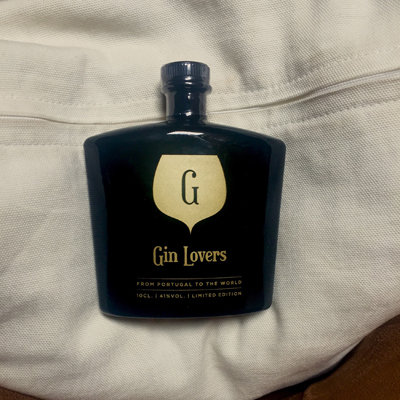 In spite of 41º vol, it's a well balanced and smoth Gin, that doesn't compromise the depth of all it's aromas. 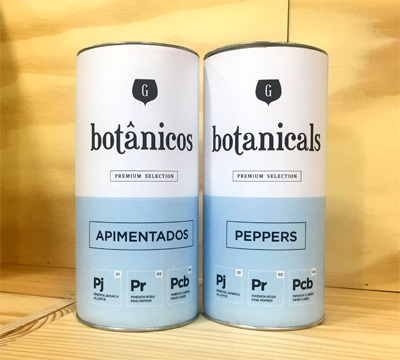 The pepper botanicals have as their common denominator the taste or heat of pepper. 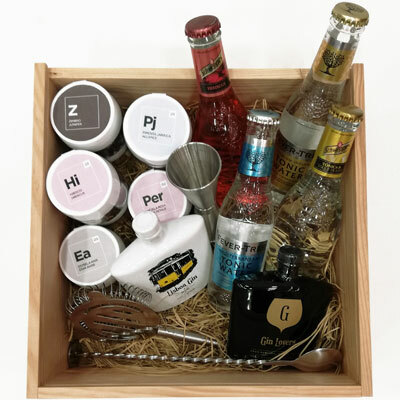 The class consists of peppers and other similar botanicals such as ginger or grain of paradise/ossame, which makes the flavour of the gin linger in the mouth. 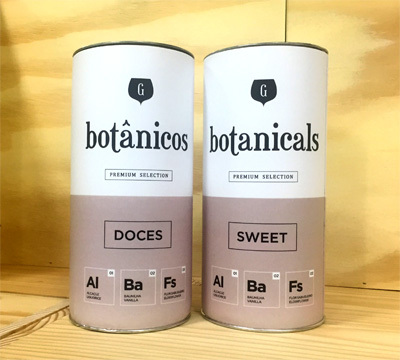 The sweet botanicals make a varied flavour class in which some are there for their aroma but all are there for their sugary taste. Mixed with gin, it makes for a softer, smoother, rounder drink. 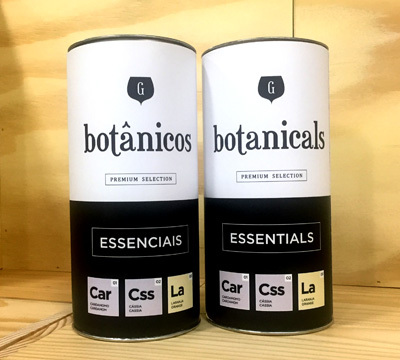 The spice botanicals are a more intense flavour class due to their essential oils. 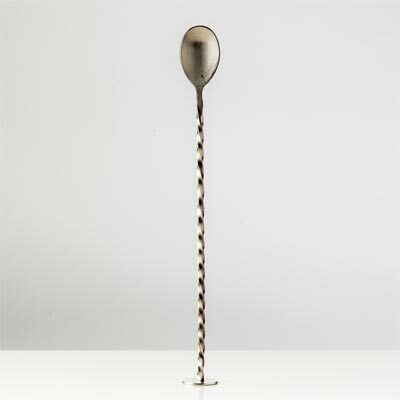 They may appear in various forms: flower, seed, shell, stalks or root, but always with a strong and exotic aroma that transports us to the fragrances of the east. 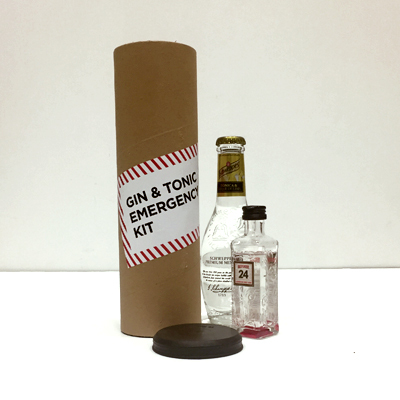 The essential botanicals make up part of the base for most gins in the world. 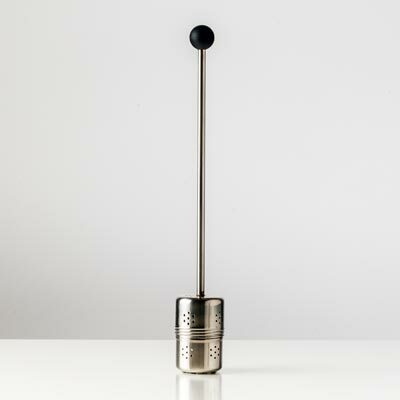 They are, therefore, indispensable in any bar or drinks cabinet at home. 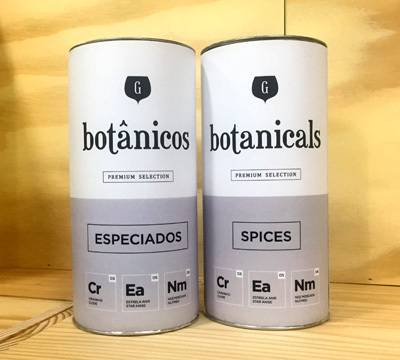 When we use the essential botanicals we are paying homage to the history of the gin and tonic and highlighting the aromas and essences that are already present in the Gin. 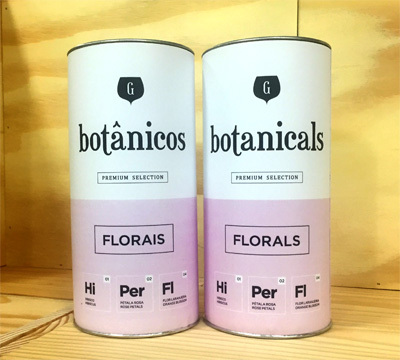 The floral botanicals, just as the name indicates, are mostly flowers or flower petals whose aroma is reminiscent of perfume. 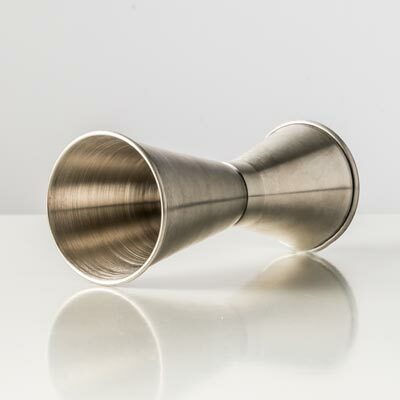 They lend an elegance to the Gin, able to heighten its perfume and round off the edges of drier gins. 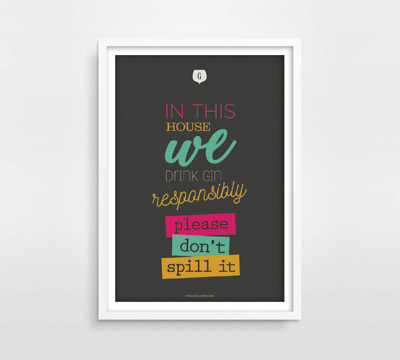 Are an obligatory presence in gin. Their acidity and freshness add new flavour profiles. 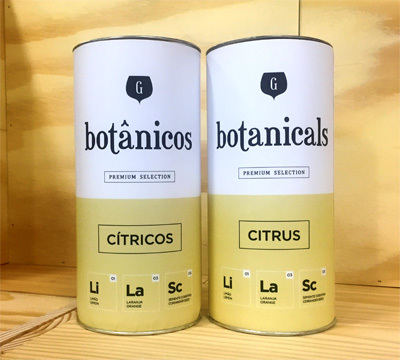 The presence of vitamin c and citric acid is common to all of them, but also found in other botanicals which, although not citrus fruits, have a similar citrus flavour. 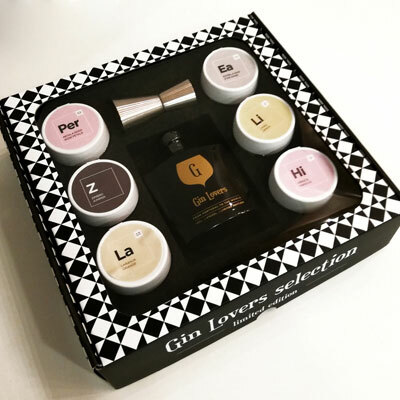 created for Gin lovers and all those who are still to fall in love with it. 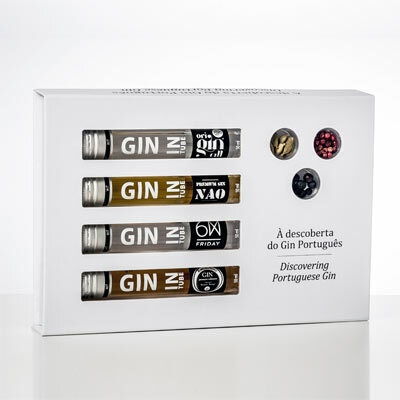 In this package you will found 4 Portuguese Gins: Originall, Nao, Gotik and Ribeira Nova. Each tube with 5 cl. 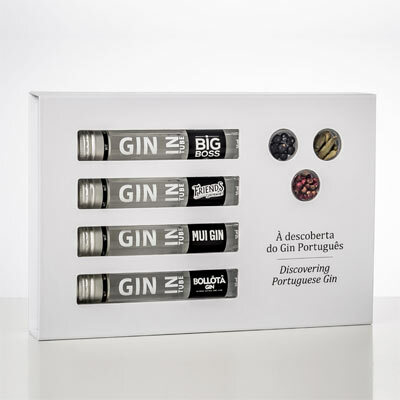 In this package you will found 4 Portuguese Gins: Big Boss, Friends, Mui Gin and Bollõtâ. Each tube with 5 cl. Exclusive Gin Lovers Glass standing black. 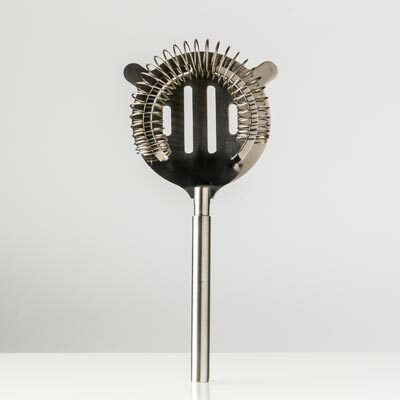 Capacity: 900ml, Height: 250mm, Diameter: 115mm.